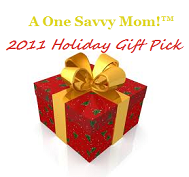 One Savvy Mom ™ | NYC Area Mom Blog: Applebee's Has Your Holiday Bonus! A Free $10 Bonus Card With Purchase of Every $50 in Applebee's Gift Cards! Applebee's Has Your Holiday Bonus! A Free $10 Bonus Card With Purchase of Every $50 in Applebee's Gift Cards! With the purchase of every $50 in Applebee's Gift Cards, in-restaurant guests receive a $10 Bonus Card -- a 20 percent value. 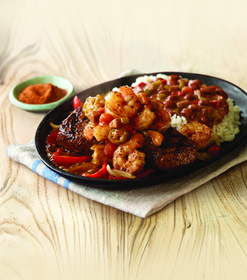 Applebee's Bonus Cards are available only in participating Applebee's restaurants for a limited time. "Giving Applebee's Gift Cards is a sure hit because of their value and the experience they create for family and friends," said Bridget Moen, director, gift cards, Applebee's Services, Inc. "You can treat your friends and family to a memorable meal in the neighborhood and pass along, or keep, the bonus card." Applebee's Gift Cards are available in a variety of different styles and themes, including patriotic, holiday, sports and Girls' Night Out. Applebee's Gift Cards are accepted at nearly 1,800 U.S. locations, have no expiration dates, no hidden fees (such as inactivity charges) and offer an easy way to check card balances online. Bonus Cards will be available at participating Applebee's through Dec. 31, 2011 and are redeemable through Feb. 29, 2012. Applebee's is always a fun treat for our family when we're out and about in the city! Each and every time we visit we're greeted with the friendliest service, and their mouthwatering dishes (not to mention great price points!) can't be beat. Applebee's Gift Cards would be the perfect gift for just about anyone on your list this Holiday season. This really is an irresistible deal! Give a gift card to friends or family, and treat yourself to a meal out with the $10 Bonus Gift Card! 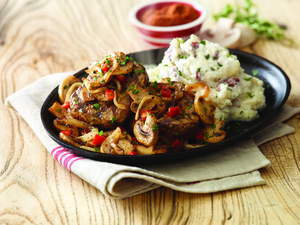 For more information and to purchase Applebee's Gift Cards with Bonus Cards, visit your neighborhood Applebee's or http://www.applebees.com/ . ﻿Disclosure: A product gift card was provided for review/giveaway purposes. The opinions I have expressed in this post are my own, and may differ from others. I am disclosing this in accordance with the Federal Trade Commission’s 16 CFR, Part 255. Click HERE to read our full Disclosure/Policy. I would give this my son. I love to get him gift cards! It's like I'm taking him to dinner but I'm just not there! LOL! i'd give this to some teacher friends of mine who can use a night out. I liked and commented on your Keurig B60 review (diamondgroveacademy). I would give this to my daughter and son-in-law. I'd like to give this to my son. It would be nice for him to go out and not have to spend the money! I "Liked" youtube "American Girl Crafts Party"
I'd gift this to my niece. Poor college student needs all the help she can get!